Suriya's S3 songs are all set to release tomorrow (27th November), while the film is being planned to release on the 16th of December, which is less than a month away. 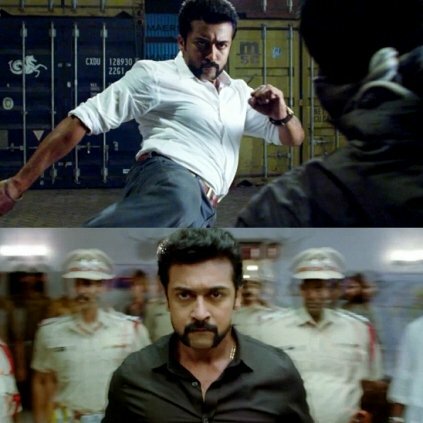 An interesting information we hear, about the film, is that director Hari apparently took 125 days to complete the entire shoot of S3. This seems to be the lengthiest film of Hari, in terms of shooting (production) time span. Looks like Hari has taken the time to get the right performances from the cast. The second installment of the Singam franchise had Durai Singam traveling to Africa for his mission, and this time, we think it might be Sydney. The tracklist of S3 carries a song titled "Mission to Sydney", which has lyrics by Hari and vocals by Lady Kash, and hence there is a possibility of Durai Singam traveling to Sydney, Austraila this time. Let us have to wait till the 16th of December to know about it. Wedding bells for Vaikom Vijayalakshmi! People looking for online information on Director Hari, Singam 3, Suriya will find this news story useful.